It's a Christmas Request-fest! 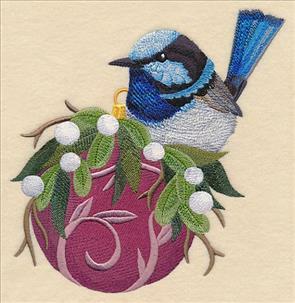 All the designs featured in this week's series were suggested by embroiderers like you (and are holiday-themed, too!). 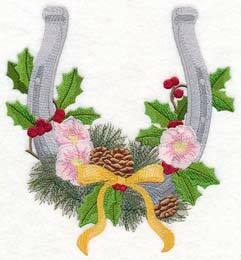 Embroider a Christmas sewing machine for your crafts room, or adorn a set of dish towels with whimsical ornaments. 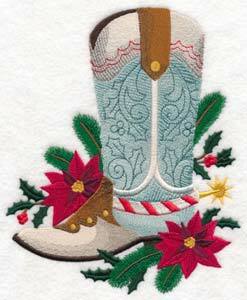 Festive Western motifs will add a country look to your Christmas. 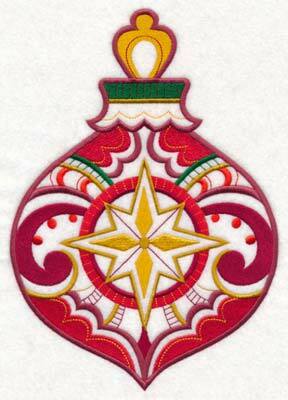 Plus, a new lace ornament, Scottish Terrier stuffie, holiday luminary, and more! 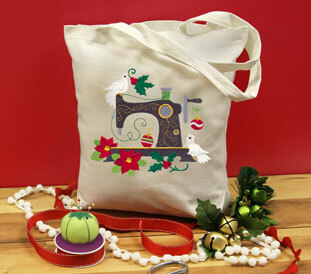 Give your Christmas supplies a new home with a tote adorned with a sewing machine. Ruth has sewing machine designs featuring spring, summer, and autumn motifs, but wanted one for the winter season. 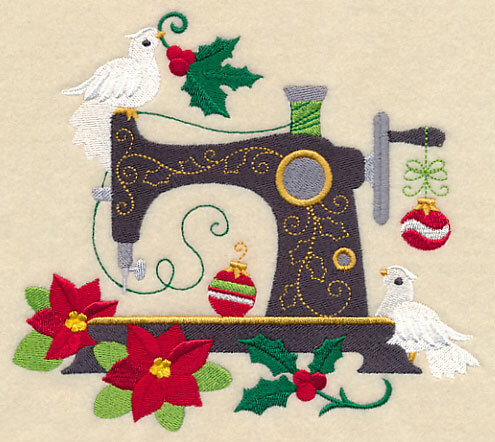 This Christmas sewing machine is the perfect addition to craft room decorations, tote bags, and more! 6.59" x 5.85" and 5.46" x 4.85" and 3.85" x 3.43"
The birds on ornaments and birds on teacups are so popular, requests have come in for more designs in this style! 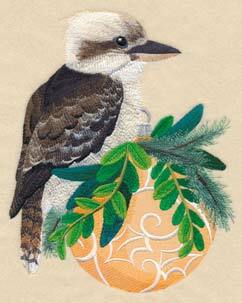 Joan was hoping for one with the Australian Kookaburra and Pamela suggested a design featuring the Australian Blue Wren. 6.88" x 7.79" and 5.82" x 6.62" and 4.85" x 5.49"
Lisa is a big fan of the Fall with Flair and Paisley with Panache designs, and thought ornaments in this style would be perfect for her holiday decorating. These bright and colorful designs are contemporary additions to pillows, tree skirts, and more. 6.86" x 11.07" and 5.83" x 9.41"
4.84" x 7.81" and 4.25" x 6.86"
6.86" x 9.72" and 5.86" x 8.30"
5.35" x 7.57" and 4.85" x 6.86"
Give a set of dish towels adorned with these ornaments to friends and family this holiday season! 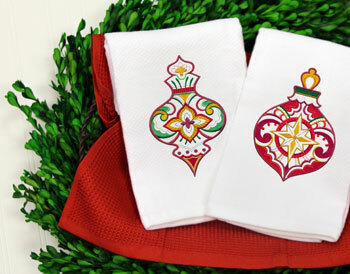 The classic Christmas colors and shapes will add a merry and bright look to any kitchen. Festive colors, intricate details, and open spaces give these designs a unique, eye-catching look. Stitch on low-nap, solid fabrics for best results. 6.22" x 11.76" and 4.98" x 9.41"
4.13" x 7.81" and 3.63" x 6.87"
6.86" x 10.77" and 5.86" x 9.20"
4.96" x 7.78" and 4.38" x 6.86"
Update a quilt, kitchen towel, table runner, or stocking with these whimsical ornaments! 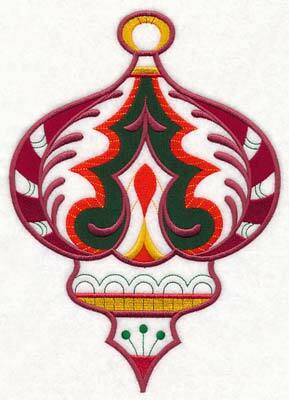 The stunning accents and unique shapes make them terrific for any holiday project. 6.86" x 9.49" and 5.86" x 8.11"
5.30" x 7.33" and 4.86" x 6.72"
6.86" x 10.76" and 5.86" x 9.19"
This collection of elegant ornaments is perfect for any holiday celebration. Get them all now in a design pack. 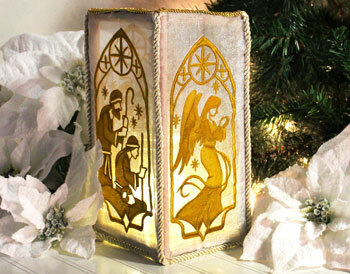 Barbara loves the Seasonal Silhouette Luminary, and wanted panels featuring nativity scenes to put up around Christmas. Here, four different panels have been created depicting the birth of Jesus (the Holy Family, the wise men, the shepherds, and the angel). 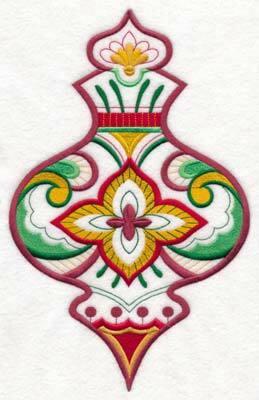 See how to create this luminary here, or use the panels on a series of framed artwork, a wall hanging, or a quilt! 5.08" x 11.73" and 4.07" x 9.41"
5.07" x 11.73" and 4.07" x 9.41"
3.38" x 7.81" and 2.97" x 6.86"
Shirley wrote in saying she'd love to see designs featuring a mix of Christmas and cowboy. 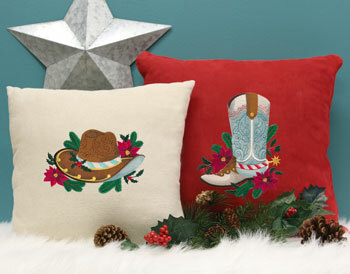 Here a Western hat and boot are perfect for pillows, quilts, and more. 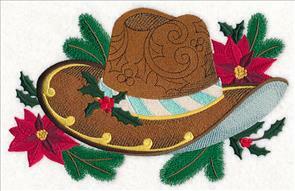 6.40" x 7.80" and 5.71" x 6.96" and 4.84" x 5.90"
Add a fun holly jolly look to your decor with Western Christmas designs! 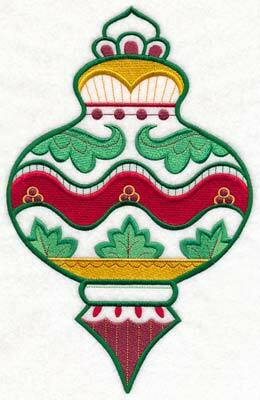 Add them to a set of pillows, or use to adorn wall hangings, tote bags, and more. 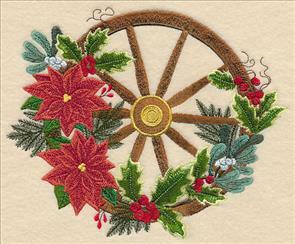 Renee also had her mind on a Western Christmas theme, and suggested a horse shoe and wagon wheel with holly, evergreen boughs, and other winter foliage. 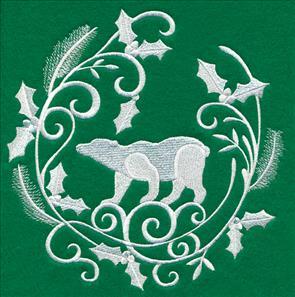 Add these designs to a series of framed art, tote bags, or placemats for the holidays. 7.25" x 7.80" and 6.90" x 7.42"
8.42" x 6.84" and 7.24" x 5.84" and 5.98" x 4.85"
Carol saw the Christmas Lights Flamingo design, and wanted a motif featuring an octopus all tangled up in holiday lights. What a fun idea! 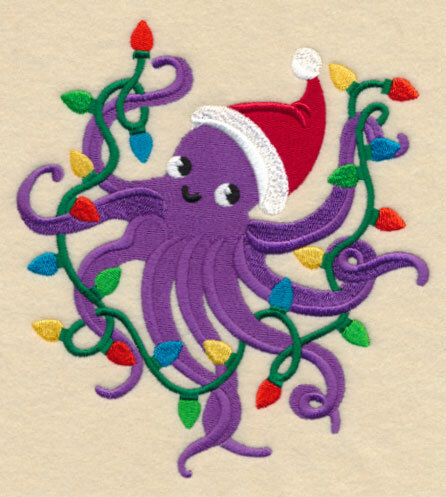 Stitch this adorable sea creature on kids' gear, stockings, and more. 5.85" x 6.35" and 4.87" x 5.29" and 3.56" x 3.86"
Elaine wrote in hoping for a Santa Claus dressed up as a firefighter. What a great idea! 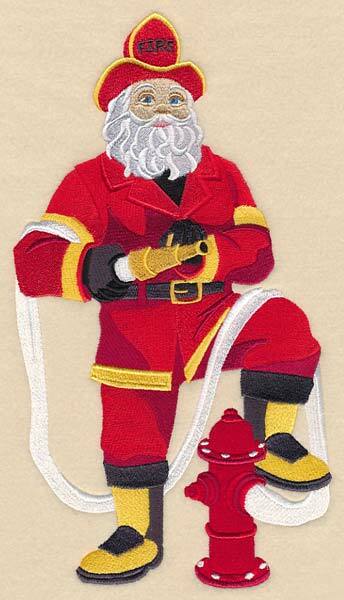 Stitch this holiday design to honor the brave men and women in your fire department. 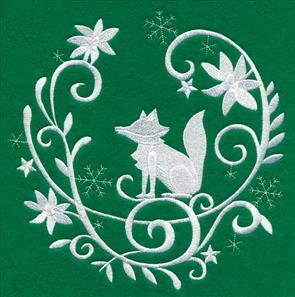 6.40" x 11.75" and 5.13" x 9.41" and 4.25" x 7.81" and 3.74" x 6.86"
Berry has used the woodland whitework scenes quite frequently, and requested holiday versions to stitch for the wintertime. 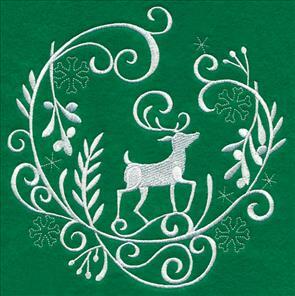 Festive foliage, snowflakes, and other Christmas accents add a seasonal look to these designs. 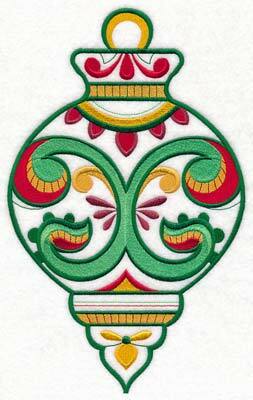 7.81" x 7.81" and 6.86" x 6.86"
7.81" x 7.77" and 6.88" x 6.85"
Stitch all four of the whitework scenes on a quilt, series of pillows, wall hanging, and more! They're an elegant way to stitch for the winter. 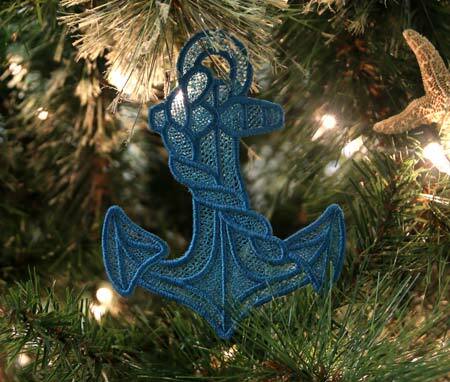 7.81" x 7.83" and 6.85" x 6.89"
7.78" x 7.71" and 6.89" x 6.86"
Karen sent in an email requesting a lace anchor, as the anchor is a symbol of hope, and she'd like to make ornaments featuring the classic nautical motif for her friends. 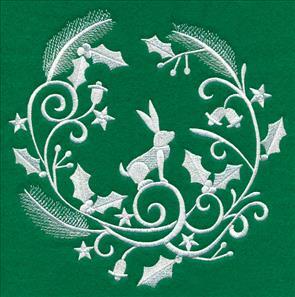 Use this lace design to add a warm weather look to your Christmas tree! 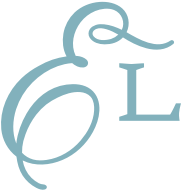 See project instructions for stitching freestanding lace right here. 4.73" x 5.89" and 3.92" x 4.87" and 3.13" x 3.89"
Jen wanted a stuffed ornament featuring the Scottish Terrier, and isn't this in-the-hoop design just adorable? 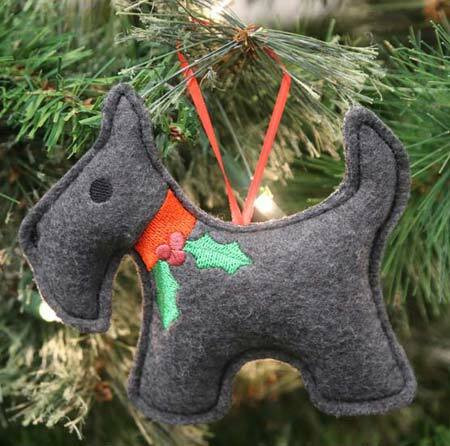 Add the pretty pup to your Christmas tree, a holiday present, or gift to friends and family. See how to stitch and assemble crafty cut stuffies right here. 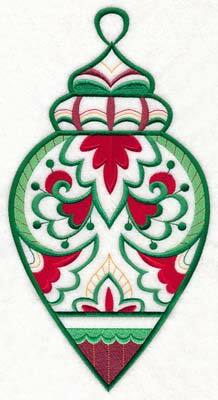 5.81" x 4.86" and 3.81" x 3.23"
Sherri wanted an in-the-hoop bottle apron to give over the holiday season, and we loved the idea! 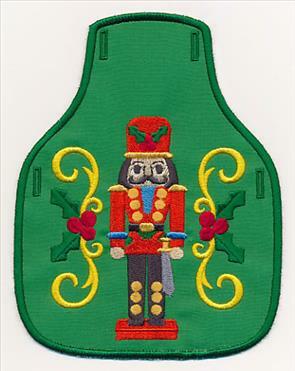 Stitch the coordinating nutcracker design on a tea towel for a festive gift set! Find instructions for creating in-the-hoop bottle aprons here. 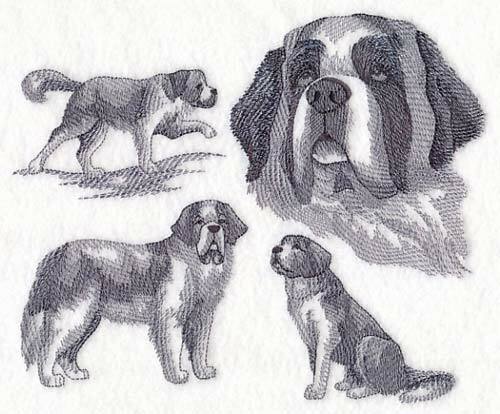 1.71" x 4.86" and 1.36" x 3.86"
Veeda suggested we create a dog sketch featuring the St. Bernard. Stitch the elegant design on pillows, tea towels, and more for your favorite dog-lover! 7.79" x 6.44" and 7.08" x 5.87" and 5.88" x 4.85"